Follow Your Intuition and Change the World! This is a guest post for Powered by Intuition from Arvind Devalia. 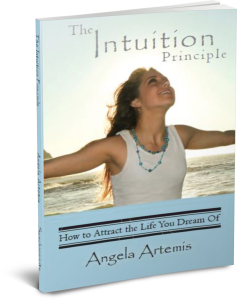 Are you ready to follow your intuition and change the world? Have you ever had a powerful urge to do something and you had wondered why? What would your life be like if everything you did had a greater purpose to help yourself and those around you? If you are like me, you too may often get an inner urge to do something and then wonder why. But you’ll ultimately only know what it’s all about, if you followed up and gave it a chance. And most likely you will find that it was all about helping someone! Let me share a couple of recent examples. A few weeks ago I was travelling on the London Underground train system. In a very quintessential English way, we call our underground train system – the “tube”. For obvious reasons! So when someone in London asks you if you are “taking the tube”, they are asking if you are travelling on the underground train system. I had to change tubes to get to my destination and this time I chose a different route. I felt I just had to go one particular way, even though it was a longer route. Something inside me seemed to be guiding me. As I got off that train tube and went towards the upward bound escalator, I noticed a woman with a large suitcase in front of me. She was really struggling with it and I made room for her. She managed to get on the escalator in front of me and somehow fitted the suitcase behind her on the steps but rather precariously. Halfway up, the suitcase started slipping and so did she as she vainly tried to hold on to it. As she and the suitcase stared tumbling down, I just about managed to stop her from falling and also blocked the heavy suitcase from falling all the way down behind me. Luckily, it was a quiet period and there weren’t many other commuters on the escalator. There would have been mayhem and possibly serious injury if I hadn’t been there to block the suitcase. For a brief second as she slipped, I saw her panic-stricken face as it dawned on her what could have happened. She could well have gone tumbling all the way down if I hadn’t been there! Somehow we managed to get to the top of the escalator and she was most grateful for my help. She went on her way and I headed off towards my interconnecting tube train. However, just as I got there, a train attendant informed me and others that those trains weren’t running for a while due to a faulty train breaking down in the tunnel. I therefore had to retrace my steps and get to my destination via the originally planned route. It seemed that the only reason I had made the choice to try the longer route was that somehow I had to be there to help the woman with a heavy suitcase. Coincidence? A matter of chance? Or was there a great power of intuition guiding me? Maybe you can recall incidences in your own life whereby you have had this urge to do something or go somewhere, and only after having done so that you found out how you were able to make a difference to someone. Let me share another example with you. Another time I was waiting in a queue (line) in a post office and in front of me was a father and his young baby daughter just behind him. Something told me to look out for her and sure enough just a few seconds later she slipped and would have fallen backwards if I hadn’t been there to stop her from falling. The father was most grateful and his daughter gave me a beaming smile. We stuck up a conversation and everyone else around us also joined in and made a fuss over the little girl. He then profusely thanked me again on his way out and somehow in a just a few seconds, we created an amazing feel-good factor amongst all the other people in the queue. Again, coincidence or a greater power at work? No matter what, it sure helped those people. And maybe at the end of the day, that’s all that matters. It is also not just about helping others. Your intuition can also transform your own life – you can make a huge difference to your life and not just others. I remember how just over 10 years ago I attended a talk by Ekhart Tolle in London. It was held within an exhibition hall and though the room was small, it was packed. This was the time that Eckhart Tolle had just written his first book “Power of Now” and he was becoming very popular. I felt really inspired after the talk and decided to look around the exhibition and see what companies were there. This was a time before I became more self-aware but something kept urging me to walk in a certain direction in the busy, packed exhibition hall. This was also a time when I was looking for a more fulfilling career path and sure enough I found just what I was looking for! In that busy hallway, there were a number of coaching companies advertising their coach training. I had never even heard of coaching before – and to cut a long story short, I chatted to all the companies there, and following my gut feeling again, I started my coach training 3 weeks later. It felt like coming home – and the rest is history! I am now a coach of over 10 years’ experience – and all because I followed this urging and a desire to contribute and make a difference. 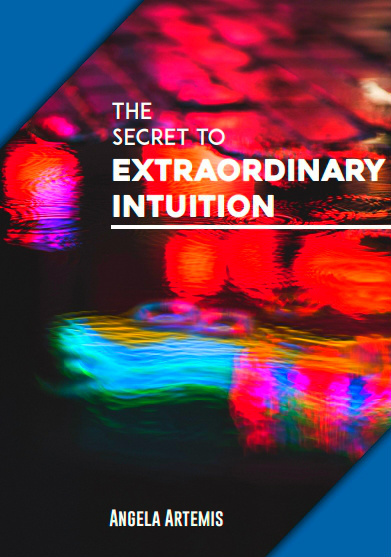 So how can you use your intuition to help yourself and others? 1. Get Clear about your Intention to Serve and Make a Difference. I truly believe that we are all here to contribute and make a difference to others. And of course we are here to have a lot of fun and experience joy whilst doing so! So I invite you to firstly acknowledge your own deeper desire to make a contribution and to lead a life that counts. You may currently be focussing on making ends and on creating a better life – and that’s fine. But know that you don’t have to make a grand gesture – you can help others in a small way. Even a smile will help! Remember to Feel the Fear and Change the World Anyway! There is now a growing awareness of people around the world wanting to make a difference and to live a life of making a difference. If this is where you are (and if not, why not!? ), then welcome to a path of greater fulfilment and joy. Just put it out there and share with others your desire to help. By putting it out there, you will become more and more aware of where you can best help. Talk to others, read blogs like mine and many others. From now onwards, truly list to your intuition! Don’t question it and have fun as you follow your inner urgings. Rather than questioning your intuition, become curious. Simply ask – I wonder how I am meant to transform the world next? Remember that your intuition automatically gets better with time!questioning your intuition, become curious. Simply ask – I wonder how I am meant to transform the world next? So go forth, follow your intuition and change the world. At the end of the day, remember that it’s all about expanding your life journey – and if you can serve someone along the way, you’ll not only be serving others but best of all, you’ll be ultimately serving your own life purpose. What intuitive ideas have inspired you to change your world? How did it impact others? Share with us! If you enjoyed this post – share it with a friend on Twitter or FB or G+. Thank you! P.S. 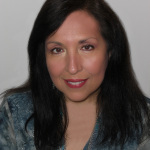 To learn how to use your intuition to change your world – click here to check out my books. Like this quote? Feel free to share it. 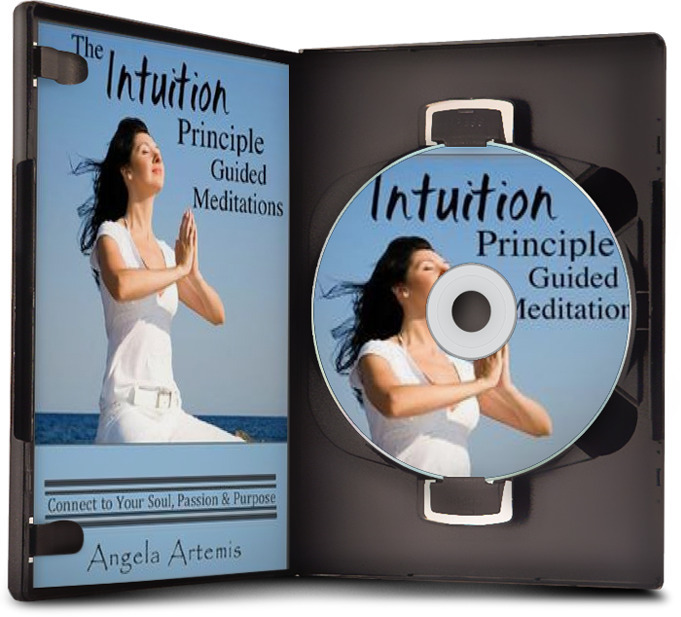 How Your Intuition Gets Better With Time - Automatically! Intuition: Is There a Right Time to Access Your Inner Guidance? Great article, Arvind, and I especially appreciated your two examples. I do that, too–listening to the small urges to do one thing or not to do another. Sometimes when the reason doesn’t become obvious, like it did for you, I think that something was avoided that I might never know about. Thanks for sharing this wonderful article. And I love your photo with your kids! yup. my inner voice/intuition always wants me to be humanitarian. i haven’t gone all in with it though.. but i feel its happening soon. i’m also part of a rocket your revolution ecourse to help make it happen! Great stories, Arvind. I do believe that there is a greater power at work that prompts us in perfect timing. The more we listen to our intuition, the more we are in touch with this universal life force that connects us as one. If each of us can think how we can serve someone else along the way, the world will be magically transformed. I certainly look forward to it! I enjoyed reading your stories, Arvind. I agree that it is the simple things in life that make the difference. The observation of situations gives us the clues that our intuition is at work. Thanks for sharing your great post! Take care. Thanks to you both for this. I needed to read something uplifting right at this moment and surprise surprise found myself right here! I am in absolute agreement with you, Arvind! Ultimately, I see a world where everyone is holding hands (in real or virtually) and raising, lifting each other up, sharing, loving, caring and living in harmony. I go about quietly, doing my bit – and collecting precious smiles that fill my heart with inspiration to do more. I feel blessed that I can. Intuition is a very powerful thing. There have been times when I have had a plan, yet there would be some inner force prompting me to head in a different direction, without even knowing what lay ahead – but I would listen to that voice within and find that there is a purpose guiding me. Has never let me down. 🙂 I think when we respect our intuition, it rewards us by becoming stronger, helping us shine brighter. Thank you for a wonderful post, Arvind. Angela, you know I love it here. Hugs! Angela, thank you so much for posting this guest post from me:-). Just imagine how the world would transform if we all lived with such an attitude and approach to life! Thanks again Angela for helping me get my message out there….